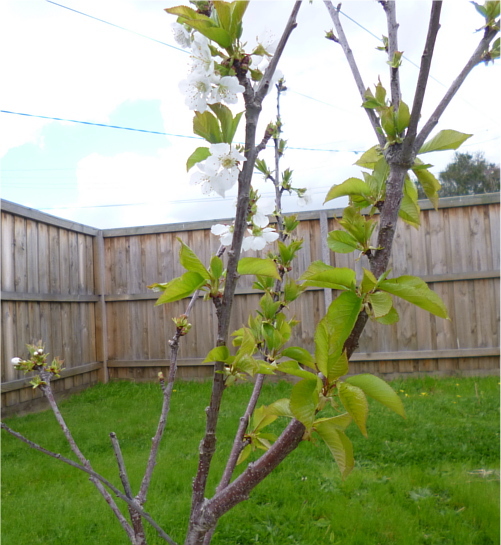 The cherry tree is blossoming at the moment, and I feel like marking the occasion somehow. Last year I was too busy and didn't even get a chance to take photos before the blossoms fell, which was a little sad. On a whim, I decided to turn my lunch into a picnic. 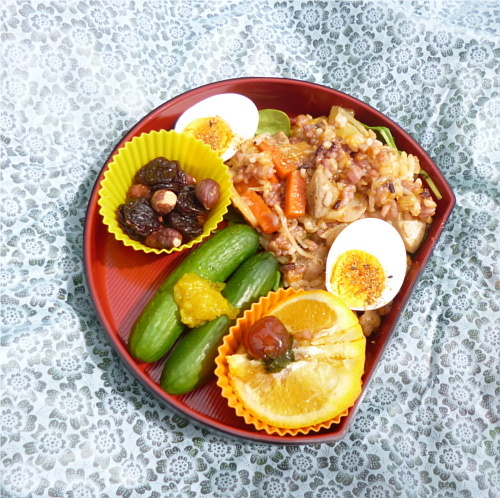 I accompanied my leftover chicken stiry fry with baby cucumbers, a boiled egg, some dried fruit and nuts, and some orange segments. 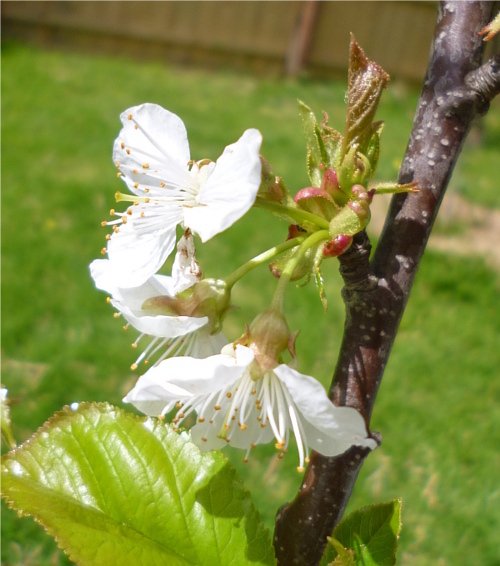 The weather is particularly changeable in Spring (even more than normal!) but thankfully it cleared a little by lunchtime. The tree is still too small to sit under, but sitting next to it was perfectly adequate. In Japan, sakura are the essential symbol of the transience of beauty, and a reminder of the passing away of all things. However as I sat, I was thinking of the future and new growth. 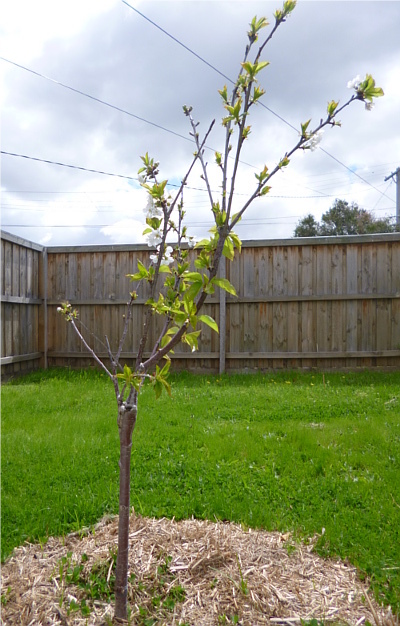 Of the cherries that will grow later in Summer, and what the tree will look like in coming years. This is one of my favourite parts of gardening -- imagining, if all goes well, how the plants will grow, how they will experience the seasons and my part in keeping them well-maintained and happy.